Xscape and Unbreakable. Awesome and I'm super addicted to these 2. Wow.. I'm so badly addicted to all Michael songs Hmm... If i were to pick 2, i will choose You rock my world & Pretty young thing. I used to be addicted to smooth criminal (my all time favourite), then it became man in the mirror and billie jean. After the VMA music awards, it was who's bad! Then I decided to explore his invincible album, and now I am madly in love with Speechless. I love his vocals! i love his invincible album but apparently the media claimed that he lacked creativity and all that..
gosh, no one can beat his vocals..
hmmm, i'm addicted to most of his songs.. even the jackson 5 ones..
i need them everyday!! 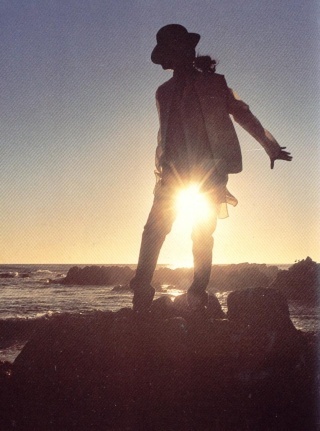 O Michael, you rock my world! "Music has been my outlet, my gift to all of the lovers in this world. Through it - my music, I know I will live forever." i think i like you are my life the most in invincible.. i cried when i first heard it..
unbreakable and dont walk away are my fav in this album too..
Unbreakable seemed to tell the media that those tabloids will not break him!! You Are My Life" is one song tt I haven't dared to hear yet... I just need the courage to hear tt one & I haven't had much yet... maybe I can hear it with a stronger heart after my London trip. its one of the best MJ song ever. oops.. i din know i missed this post of yours for such a long long time! lol.. yup.. its a beautiful song.. got to hear it..
i myself was amazed by the impact this song had on me! Go trinix! I'm sure you will grow stronger day by day just like michael! yup.. but dun worry. when i'm back from my last paper on tuesday, i'll try to be noisy.. then again i have attachment.. Thanks.. i was calling for michael today while doing my pharmacology paper.. i'm sure he knows some nature of the drugs but haha.. nothing came.. think i was thinking too much.. hoping that answers will just appear.. So thats 11th of dec? how long will you be away? i'm sure you will enjoy yourself so much that you probably wont want to come back.. lol.. AIYEE!!!! PLS BA DO IT AFTER CHRISTMAS!!! I NEED TO BE BACK IN SG BY CHRISTMAS FOR VERY IMPT PROJECTS!!!!!!!!!!!! Thriller is my fave song!!! Definitely Who is it and Blood is on the Dance Floor.